Freeman played college football at Virginia Tech, where he caught 93 passes for 1,534 yards and 16 touchdowns in three seasons. He also returned 63 punts for 651 yards and another touchdown, and rushed for 37 yards. Freeman was drafted by the Green Bay Packers in the 1995 NFL Draft. In his rookie season he returned a punt 76 yds for a touchdown during a playoff win over Atlanta. He went on to lead the Packers in receiving in four seasons from 1996–1999, and led the NFL in receiving in 1998. In 1998, Freeman had his best NFL season, catching 84 passes for a league leading 1,424 receiving yards and earning the right to his only Pro Bowl appearance. During overtime of a Monday night game on November 6, 2000 despite bad weather conditions, Freeman caught what initially appeared to be an incomplete pass while lying on his back—after almost being intercepted by Chris Dishman, the ball actually bounced off multiple parts of Freeman's body without hitting the ground. Untouched by the defender, Freeman jumped to his feet and ran the ball in for the winning touchdown over the rival Minnesota Vikings. The touchdown prompted ABC play-by-play announcer Al Michaels, who was obviously stunned by the play, to famously shout, "He did WHAT?!" In 2005 ESPN labeled the catch as the greatest play in the history of Monday Night Football. Freeman has said it was the second best catch of his career (claiming his best to be an 81-yard catch in Super Bowl XXXI). 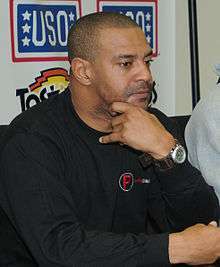 Freeman played for the Green Bay Packers from 1995 through the 2001 NFL season. After feuding with Packers Head Coach Mike Sherman in 2001, Freeman signed with the Philadelphia Eagles. His final game in his first Packers tenure was against the St. Louis Rams during the 2001 NFL playoffs. He then went on to play a year for the Eagles in 2002 before coming back to Green Bay for the 2003 season and a second tenure with the club. His final catch with the Packers occurred on the road in December 2003 during the fourth quarter of Brett Favre's phenomenal performance against the Oakland Raiders on ABC's Monday Night Football, following the death of Favre's father. He played his final game with Green Bay in the infamous "4th and 26" debacle in the NFL playoffs against the Philadelphia Eagles in January 2004. Freeman last played in the NFL with the Miami Dolphins during 2004 training camp. In his ten NFL seasons, Freeman caught 477 passes for 7,251 yards, gained 1,007 yards returning kickoffs and punts, and scored 61 touchdowns. He played in the Pro Bowl in 1999. His teams made the playoffs in seven of his NFL seasons. He appeared in four NFC Championship Games and two Super Bowls. He ranks sixth all-time on the Green Bay Packers receivers list with 6,651 yards on 431 catches. Freeman had three 1,000 yard receiving seasons in his career, 1997-1999. Nicknamed "Free", in 2006 Freeman won a Pop Warner Award for his work with youth. On June 16, 2007, Freeman signed with the Packers to retire with the team. Freeman occasionally participates as an analyst on ESPN First Take and NFL Live, mostly during NFL season. He has also appeared on ESPN College Gameday in support of his alma mater Virginia Tech. Freeman now appears on Redskins Kickoff and Redskins Postgame Live as a commentator on Comcast SportsNet Washington. Freeman was inducted into the Virginia Sports Hall of Fame in 2012. Antonio Freeman has hosted his own radio show 'The End Zone with Antonio Freeman' since 2010, the show currently airs on WTSO in Madison and WOKY in Milwaukee, Wisconsin. ↑ Sandomir, Richard (November 8, 2000). "TV SPORTS; The Ratings Don't Tell The Story On Monday". The New York Times. Retrieved April 25, 2010. 1 2 "Antonio Freeman Stats". ESPN Internet Ventures. Retrieved 4 April 2014.